Here are 15 best tips and tricks to make any Android phone or tablet run faster with or without rooting. 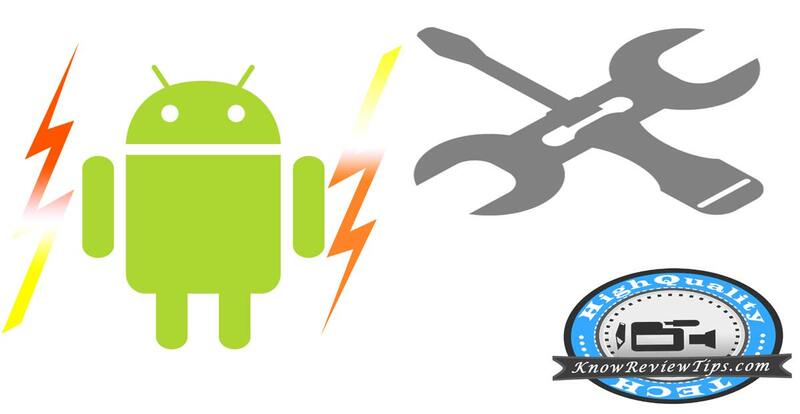 Know how to make your Android phone fast (speed up my phone). Android is the most popular Smartphone operating system in the world. Android phones / tablet comes at very cheap and expensive prices tags. If you are facing slow speed on your Android phone, we have some of the best tips and tricks to make your Android phone super fast with or without rooting. By applying these methods on your android phone, you will get faster and smoother android experience. As far as till now we can’t recommend any hardware upgrade to Android phones, unlike desktop computers and desktops. The only thing which we all can upgrade in smartphones in external Micro SD card with great speed (Class 10). By upgrading the SD card, the apps which are installed on it will load up quickly. Make sure your system is up to date. Check for System firmware updates for your phone. To check updates on the phone, Open Settings, scroll down to About Device. Now Touch on Software update and check for updates. Turn off the Live Wallpaper on the home screen and set a static image as Wallpaper. It will not just improve the performance of the phone but also the battery life / backup of the phone. Delete all the Applications which you don’t use anymore. Remove all the games which you don’t play any more etc. By deleting the apps there will increase in RAM, phone, and Cache memory. Also, try to delete the manufacturers / OEM pre-installed apps. If you are unable to do so, that means it requires the phone to be rooted. By clearing the Apps cache data,there will be a huge improvement in overall system performance. There are many other benefits of clearing App cache and data like, to remove errors caused by apps. The process to clear Apps cache and data is very simple in Android, go to “Settings”, open the Device Storage. Scroll down the list until you get the Cache Data entry, and touch on it. A pop will appear on the screen telling that you are able to out all cache data. Confirm it and that it. You can the make the Android mobile fast and smooth by reducing the transition Animation scale. To turn off or reduce the transition Animation in Android go to Settings > Developer Options. Now touch on “Transition animation scale” set it “Animation is OFF” or scale it to 1X. Now reboot your phone. We all use and add lots of Google Gmail and other email accounts to our Android devices. But, by allowing the to automatically synchronize in the background to notify about new updates not only uses internet data but also put the huge impact on the performance of the phone. To turn off the Auto-sync go to Settings, scroll down to Accounts and find Auto-sync. Now simply turn off it. The default OEM launcher in the Android tablets or phones are not fast and usually, make the system slow. So we recommend you to install a simple and fast launcher from Google Play Store. Make sure you install a good launcher, like ADW or any other. Close the apps which are running in the background. To close or stop the apps running in the background long press on the home button and then select and swipe left to close the apps. It makes currently using or opened app to load and run in faster and smoother way. If you are still struggling with slow speeds, then go to recovery and Wipe cache partition. It is a bit advance solution so procedure might vary little bit from device to device to go to recovery mode. If that doesn’t even works then you can perform Factory Hard reset in the last. Know how to factory hard reset android phone or tablet. If the RAM on your phone is low, you might face unexpectedly hanging, unexpectedly closing of the browser app. The solution to this problem is to install a fast third-party Internet browser. Free Phone’s internal and external SD card memory. Android OS stores cache on Phone memory / SD-card, like Gallery thumbnails. So, if there will be much free space available the user can browse or explore the files efficiently. The below tips and tricks requires the phone to be rooted. Make sure you are Super-user to make changes in the Android OS. Rooting your Android phone / tablet will only make you super user so that you can make changes to the system files. Rooting itself will not make the phone faster or snappy. There are nos of developments are going on XDA and other platforms for all smartphones. You can find custom ROM for you device and install it. Most of the custom ROMs offers tweaks and modification, which make the phone faster. Delete the Apps which you don’t need. Make sure you don’t delete any system files. To delete the Apps go to Settings page, Touch on Manage Applications, Swipe to All and now touch the app you want uninstall. This Tips and Tricks will work on all android phones including: Amoi, Archos, AT&T, BenQ, Bird, BLU, Casio, Celkon, Dell, Ericsson, Fujitsu, Siemens, Gigabyte, Haier, HTC, i-mate, Icemobile, iNQ, Karbonn, Lava, LG, Maxwest, Micromax, Mitac, Modu, MWg, Neonode, Nokia, O2, Oppo, Palm, Pantech, Philips, Posh, Qtek, Samsung, Sewon, Spice, Tel.Me., Thuraya, Unnecto, verykool, VK, Mobile, Wiko, XCute, XOLO, ZTE, Alcatel , Asus, Benefon, BenQ-Siemens, Lima, Maxx, Onida, Sansui , Colors, Salora, Simmtronics, Swingtel, Videocon, VOX, Wynncom, Zync, BSNL, BQ, Adcom, A & K, cloudfone, Torque, 100+, 3Q, 78point, Acer, Allview, Amazon, Apple iPhone , iPad, Bartec Pixavi, Blackview, Bluboo, BungBungame, Caterpillar, Chuwi, Colorfly, Conquest, BlackBerry, Bosch, Cat, Chea, Emporia, Eten, Garmin-Asus, Gionee, HP, Huawei, i-mobile, Innostream, Jolla, Kyocera, Lenovo, Maxon, Meizu, Microsoft, Mitsubishi, Motorola, NEC, NIU, Nvidia, OnePlus, Orange, Panasonic, Parla, Plum, Prestigio, Sagem, Sendo, Sharp, Sonim, T-Mobile, Telit, Toshiba, Vertu, vivo, Vodafone, WND, Xiaomi MI, Yezz, YU, Myphone, Infocus , Cherry Mobile, Generic, iBall, THL, Starmobile , Cloudone, RCA, 5ive, Galaxy, inDigi, K-touch, Cheers, Datawind, Digimac, DiYi, Forme, GFive, Hitech, HPL, i-smart, Jivi, Lemon, Kenxinda, M-Tech, Coolpad, Cube, Cubot, Dakele, Daway, DEXP, Digoor, Doogee, Doov, Ecoo, Effire, Elephone, Energy Sistem, Eton, Explay, Faea, Fly, General Mobile, Goclever, Goophone, Haipai, Hasee, Highscreen, HiSense, iBerry, iMan, iNew, Innos, iNo Mobile, Intex, iOcean, IUNI, Jiake, JiaYu, Kazam, KingSing, KingZone, Kodak, Kogan, Kolina, Landvo, Laude, Leagoo, Leotec, LeTV, Lumigon, Mann, Manta, Mediacom, Mijue, Mlais, Mogu, MPIE, Mstar, Neken, Neo, Newman, Nibiru, No.1, O+, Obi worldphone, Onda, Orgtec, Orientphone, Otium, Oukitel, Phicomm, PiPO, Polaroid, Q-Mobile, QMobile, Qumo, Ramos, Revo, Runbo, Saygus, Senseit, Siswoo, SK-Phone, Smartisan, Sony Ericsson, Subor, TCL, Teclast, Tengda, Texet, Tianhe, Turbo, Ulefone, UMi, Uniscope, Unistar, Vaio, ViewSonic, Vifocal, VKworld, Voto, Voyo, Vtel, Walton, Wexler, Wickedleak, Wico, Yota Devices, Zeaplus, Zopo. You can perform this tips and tricks on Android versions 2.1 Eclair, 2.2 Froyo, 2.3 Gingerbread, 3.0 Honeycomb, Ice cream sandwich 4.0, Jelly bean 4.1 4.2 4.3, 4.4 Kitkat, 6.0 Marshmallow and V5.1 Lollipop +. Let us know if you have any suggestions or any other tips and tricks to make the phone faster. Thanks admin for this awesome article. I tested it and I found it's really helpful for me. I want more articles related to this to improve my skills. Really it's a awesome blog i found on google ever. Best Regards. Thanks Jatinder Singh for your kind words.